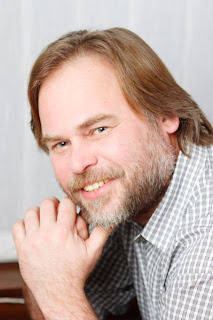 Eugene Kaspersky has a full name Valentinovich Eugene Kaspersky. He was born on October 4, 1965 in the city of Novorossiysk, Russia. Since childhood he was interested in mathematics and science have a lot to solve math problems he encounters. Entering college, he chose institutional, Cryptography, Telecommunications and Computer Science is an institution set up by the Russian Defense Ministry and the KGB. That's when he called himself 'Man Rare' because only certain people alone who can enter the majors. Although ridiculed for his lectures on the subject of cryptography proud because it is in 'Man Rare' is where students majoring in mathematics itself is not necessarily made it into a major in cryptography. Cryptography has become part of the science of mathematics and computer science in the field of information security and software engineering. With this knowledge capital, Eugene Kaspersky founded Kaspersky Lab with his wife. While still working in the government in the 1980's, Kaspersky detects a virus called 'Cascade' on his computer. With the knowledge that he had, he managed mennangani virus with software that he created himself. Since then he's interested in developing a computer virus protection software. In 1989, he joined the prestigious software company in Russia in developing anti-virus software (AVP). After quite have that experience, and his wife founded Kaspersky Lab Kaspersky and turn into Kaspersky Antivirus AVP in 2000. Kaspersky Lab worker only has 15 people and earning 0 rubles when first established. But with the high demand for computer technology is antivirus protection, Kaspersky Antivirus semakun known and is widely used by many computer users. To date, Kaspersky Lab has 1000 employees of the 20 branches all over the world and have an income of 300 million dollars in 2008.